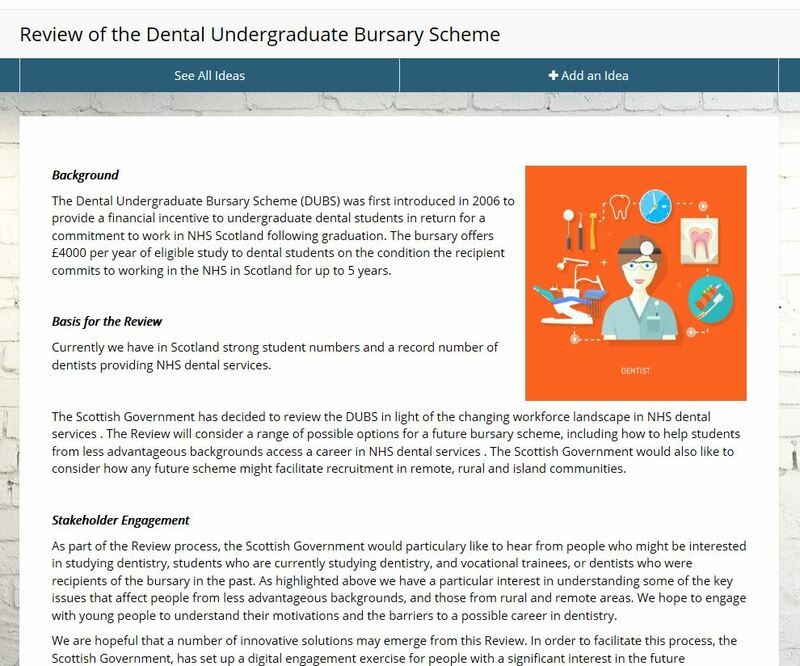 The Dental Undergraduate Bursary Scheme (DUBS) was first introduced in 2006 to provide a financial incentive to undergraduate dental students in return for a commitment to work in NHS Scotland following graduation. 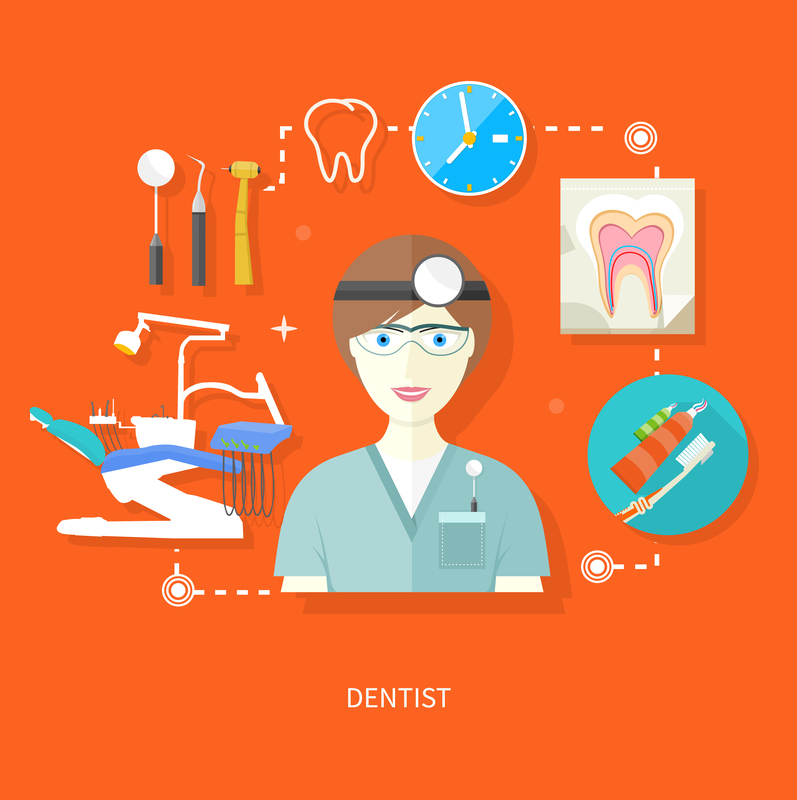 The bursary offers £4000 per year of eligible study to dental students on the condition the recipient commits to working in the NHS in Scotland for up to 5 years. Currently we have in Scotland strong student numbers and a record number of dentists providing NHS dental services. The Scottish Government has decided to review the DUBS in light of the changing workforce landscape in NHS dental services . The Review will consider a range of possible options for a future bursary scheme, including how to help students from less advantageous backgrounds access a career in NHS dental services . The Scottish Government would also like to consider how any future scheme might facilitate recruitment in remote, rural and island communities. As part of the Review process, the Scottish Government would particulary like to hear from people who might be interested in studying dentistry, students who are currently studying dentistry, and vocational trainees, or dentists who were recipients of the bursary in the past. As highlighted above we have a particular interest in understanding some of the key issues that affect people from less advantageous backgrounds, and those from rural and remote areas. We hope to engage with young people to understand their motivations and the barriers to a possible career in dentistry. We are hopeful that a number of innovative solutions may emerge from this Review. In order to facilitate this process, the Scottish Government, has set up a digital engagement exercise for people with a significant interest in the future development of DUBS to provide their views and suggestions. Recipients will be provided with feedback as well as the outcome of the review. In order to structure responses, we have provided a number of questions for recipients to consider in the first instance. The intention is that the review will be completed this calendar year. Please Note: Any change will only affect future students. The current cohort at dental school, and those entering dental school in September 2016, will still be able to make applications under the current existing scheme. The new scheme will apply to those students entering dental school in September 2017.